On Friday night, well-known mobile industry leaker @evleaks posted up what it believes to be the specs for Motorola’s soon-to-be-released Moto X phone. As expected, thanks to an .ini file that we obtained along with countless other leaks, these specs match up to what we mostly already know of a phone which is currently codenamed XFON, that will be powered by a 1.7GHz dual-core Snapdragon S4 Pro processor (MSM8960). We’re also looking at a 720p display, though the actual size has yet to be fully confirmed (likely a 4.3″). The phone will carry 2GB RAM, 16GB of internal storage, run Android 4.2.2, sport a 10MP rear camera, and 2MP front camera. 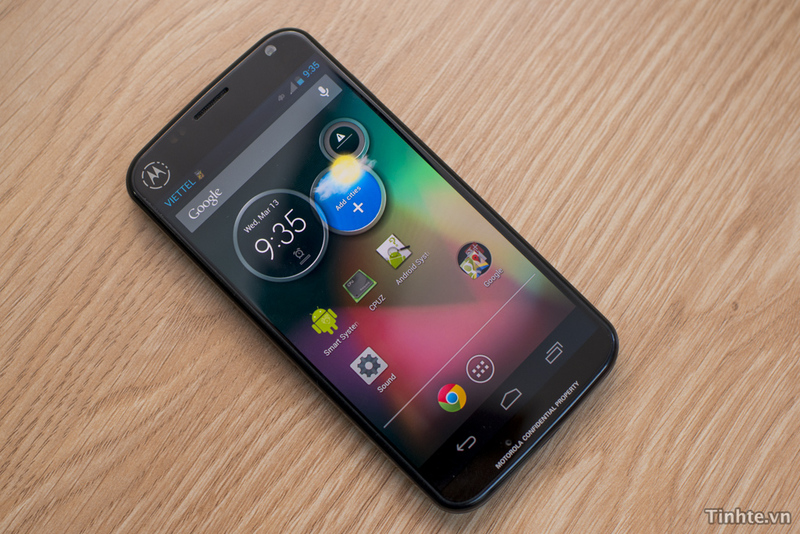 While those specs are not necessarily all that impressive on paper when compared to phones like the HTC One or Samsung Galaxy S4, remember that Motorola is going for something completely different with their new line of phones. CEO Dennis Woodside said in a recent interview that new Moto phones will anticipate your needs depending on the time or situation thanks to advanced sensors and other new tech. So Motorola isn’t exactly going to try and blow our minds in the spec department – they plan to impress us with experience. Motorola has said that the Moto X phone will arrive this summer. I have to admit that the naming scheme is becoming quite confusing at this point. We know of a phone with the codenamed XFON that has variants in the wild for AT&T, Verizon, and Sprint, and believe it to be similar to the phone you are seeing at the top of this post. With that said, Woodside called the Moto X a “hero” device during his interview at D11, yet a dual-core phone isn’t necessarily what we would consider to be “hero” material. Moto X could simply be the branding for their new line of phones, much like how Samsung has the “Galaxy” tag. No matter what, we are expecting this phone to arrive in the near future. Cheers LiterofCola, Andrew, and Justin!